Jogi Rippel is the CEO and Co-Founder of the international human performance consultancy Tignum. Jogi and his team engineer Sustainable High Human Performance for leaders and their teams. Endless meetings, long workdays, countless emails, high deadline pressures, extensive workload, and travel impact the ability to perform at a high level – day in and day out – at work and off work. He partners with leadership teams to engineer strategies and systems to support their energy, executional stamina, mental agility, and resilience during their tough challenges and pressures. Along with Tignum Co-Founder Scott Peltin, Jogi is author of the book Sink, Float or Swim — a volume of pragmatic and proven strategies to help individuals, teams, and organizations become Sustainable High Performers (swimmers) and achieve their full potential. Prior to founding Tignum, Jogi led a consulting firm that specialized in communication, innovation, and change. 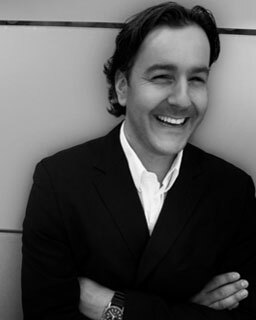 He has collaborated on and implemented strategic projects and product launches throughout Europe, Asia, and the US for many global brands. After co-founding an international project for cancer prevention and cancer coaching, he realized that helping business leaders achieve their full performance potential was his passion.